Early this year, Bloomberg’s Mark Gurman reported that Google will hire contract manufacturer Foxconn to manufacturer its upcoming Pixel 3 lineup. 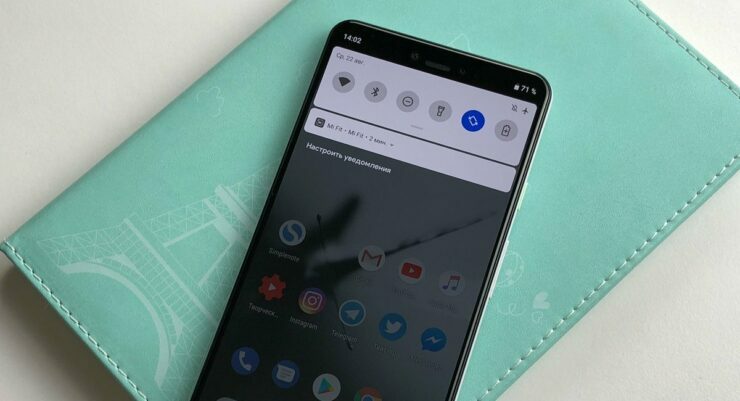 Now, things have gotten out of both the companies’ hands as several pre-release units of the Pixel 3 XL have been misplaced. These have been purchased by a handful of Russian sources. Now, we’ve got more details for the Google Pixel 3 XL. Take a look below to find out. It takes a lot to pull off a successful smartphone launch. Design, specifications, manufacturing, quality assurance and what not. These days, manufacturers also have to keep in mind one extra factor – security. The internet’s prevalence and the ease of transmitting information across the globe raise the stakes higher for this particular factor. All it takes is one photograph of a gadget that spreads like wildfire and ends up ruining a gadget’s launch. Such is the case for Google’s Pixel 3 XL. Mountain View’s inexpertise with gadgets and manufacturing has cost it. As a result, we’ve got nearly every detail for the smartphone. 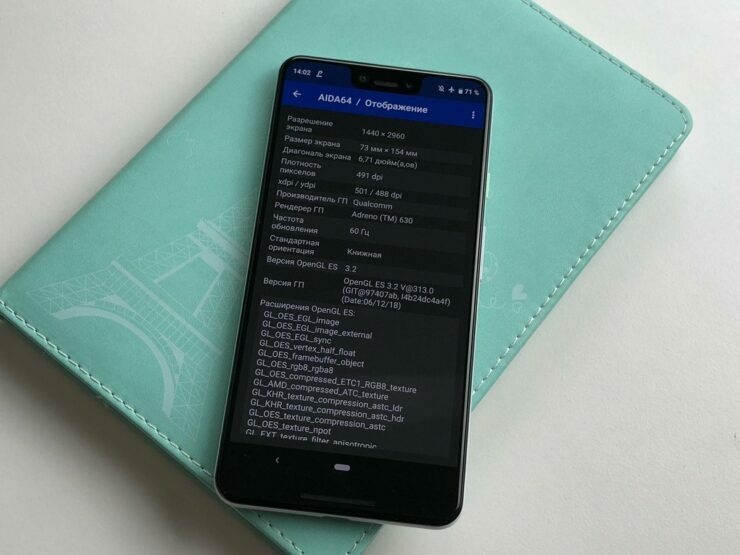 Nailing what appears as the proverbial final nail in the coffin, AIDA64 screenshots for the same Pixel 3 XL unit that has surfaced since yesterday provide some final details. Today’s images reveal two critical features of the Pixel 3 XL. The first is the device’s screen resolution. 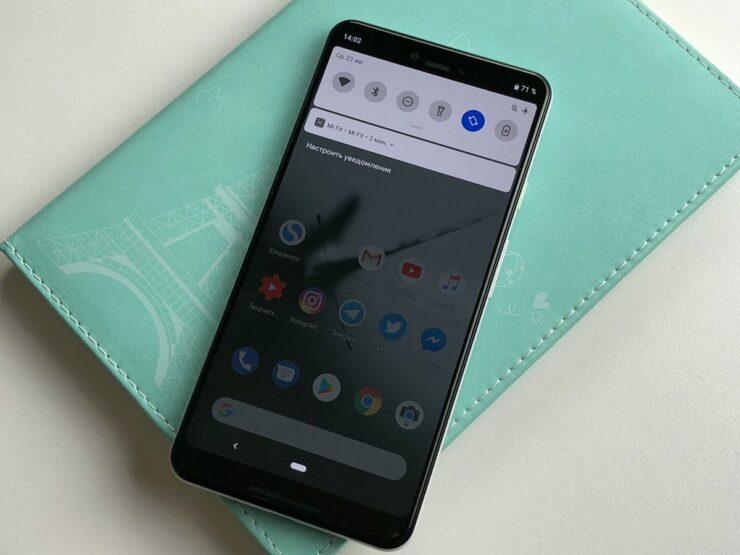 The Pixel 2 XL features a 6″ 1440×2880 display and the Pixel 3 XL’s resolution changes only to accommodate the device’s slightly larger screen. 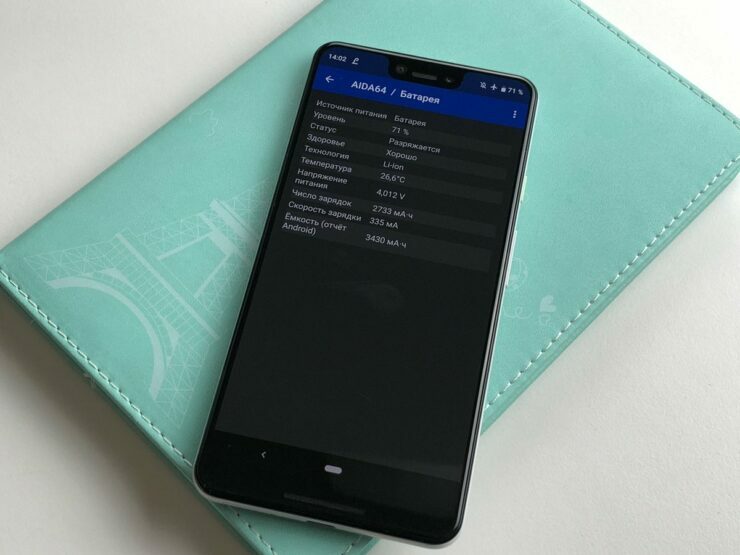 The Pixel 3 XL is shown with a 1440×2960 resolution in its latest image leak. The second feature that we learn about today is the device’s battery capacity. The Pixel 2 XL features a 3520mAh battery. The Pixel 3 XL, on the other hand, reduces this to 3430mAh. Looks like Google’s eager to make its smartphone as thin as possible and this helps it with the thickness. Additionally, the third image that has surfaced today directly targets the Pixel 3 XL’s notch problem. If you’ll take a look at the third image above, the notch is hidden and the smartphone’s top now takes the more traditional ‘bezeled’ look. This really doesn’t bode well for the Pixel 3 XL’s aesthetics. The smartphone’s large chin combined with this virtual bezel gives it a more orthodox look – one which isn’t going to impress users particularly if Google prices the gadget at the high-end. Thoughts? Let us know what you think in the comments section below and stay tuned. We’ll keep you updated on the latest.